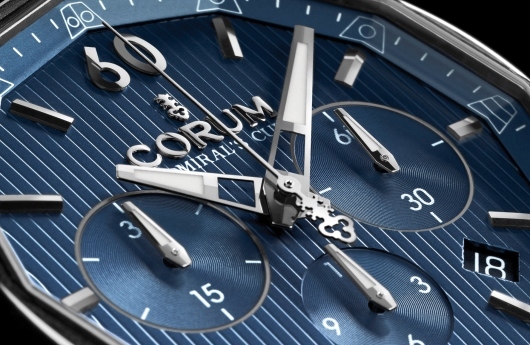 China Haidian Holdings confirms its commitment to Swiss watchmaking with the appointment of Corum CEO to head up its Eterna brand. Antonio Calce has a well-deserved reputation in the watch industry. As Director of Product Development for the Piaget and Panerai brands, and later as General Manager of Panerai, he was responsible for turning Panerai into one of the world’s most recognized and desirable timepieces. In 2005, Calce was invited to join Corum as Vice President of Operations. Two years later, he was appointed CEO and began a campaign to re-position the historic brand as a leader in Haute Horlogerie. His efforts to rebuild the brand focused on developing watchmaking talent within the company and re-launching several legendary watches, including the iconic Corum Admiral’s Cup and Golden Bridge. Now, Mr. Hon Kwok Lung, Chairman of the Executive Committee of China Haidian has tapped Mr. Calce to do the same thing for its Swiss Eterna brand. Eterna, like Corum, has a long history of innovation and watchmaking expertise, but is not widely known in the world market. “I am confident of Antonio Calce’s ability to rebuild Eterna,” said Mr. Hon in a recent statement. He added that he will enjoy working with Calce, and trusts him to ensure effective management of both companies. Antonio Calce is confident about Eterna’s future. This 150-year-old Swiss company is one of the few watchmakers in the world that still manufactures entire movements at their own manufacturing facility. The company’s famous Eternamatic movement revolutionized the industry when it was introduced in 1948, and the spirit of innovation continues today with groundbreaking new mechanical movements like the Calibre 2505 and 3510, which feature the company’s innovative Spherodrive design. Is Corum’s Move to China a Sign of Things to Come? When Chinese watchmaker China Haidian Holdings purchased Eterna AG in 2011, the Swiss watch industry immediately took notice. Eterna was a major player in the world of luxury timepieces. The company was famous for developing the ubiquitous ETA movement. Without Eterna, there wouldn’t be an ETA movement in the vast majority today’s fine mechanical watches. Is the Future of the Watch Industry in China? China Haidian Holdings already owns two of the top four domestic Chinese watch brands, EBOHR and ROSSINI. In addition to owning the Swiss brand Eterna, Haidian also has a license to manufacture and distribute “Porsche Design” watches globally as well as distribute various other luxury watches in China. With the Far East currently the strongest market for timepieces worldwide, watch industry insiders are looking closely at these Chinese acquisitions and wondering what they mean for the future. Many see Chinese acquisitions like Eterna and Corum a win-win proposition for all involved. The Chinese get access to hundreds of years of Swiss watchmaking knowledge and expertise. The newly acquired companies gain access to new and better manufacturing methods, along with an opportunity to more effectively market their products to the all-important Asian audience. With wristwatches continuing to grow in popularity as a fashion accessory, many see a bright future for Swiss and Chinese companies alike. Gevril Group, understanding the importance of the growing Asian watch market, sent three representatives to the 2011 Hong Kong Watch and Clock Fair, including Samuel Friedman, Gevril Group owner and president. This year’s watch show, which took place from September 7-11, was the largest ever for the 30-year-old event. Over 700 exhibitors from 14 countries were represented, including Gevril friend Haurex Italia, producer of high quality wristwatches with innovative design and materials that are always in line with the latest fashion trends. 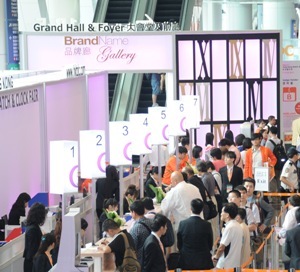 The Brand Name Gallery, a highlight of the fair, featured 110 top quality brands from all around the world. Nearly 17,000 buyers participated in this year’s show, viewing watches on display from Hong Kong, Mainland China, France, Germany, Israel, Italy, Japan, Korea, the Netherlands, Switzerland, UAE, UK and the United States. Visitors commented that the Hong Kong Watch and Clock Fair was much more casual than similar trade fairs in other parts of the world. It was easy to network and make contacts with suppliers and potential buyers, with many cocktail parties throughout the event along with the popular Wine Cellar located in the event’s prestigious Grand Hall. Customers will typically leave flowers and even elaborate fruit baskets at the booths of brands they like during the show. This tradition goes back to early Watch and Clock Fairs and all exhibitors seem to enjoy receiving these beautiful gifts. Walking from booth to booth, it is easy to determine the brands that are the most popular because of the bouquets adorning their booths. The flowers reminded one Gevril Group representative of the “likes” brands receive on Facebook. Hong Kong is already the world’s second largest watch and clock exporter, with over $3.2 billion in sales during the first five months of 2011 alone. With exports to the Chinese mainland rising at a rate of 27% a year, Asian demand for luxury watches is expected to grow dramatically in the years ahead. Some people already consider the Hong Kong Watch and Clock Fair the world’s largest timepiece event. Since popular Gevril brands like Eterna already have strong ties to China, this is an event that will be important to the Gevril Group in the year’s ahead. Gevril Group is the sole US agent for Haurex Watches. Meet us March 8-15, 2012 to view the fashion-forward Haurex exhibit at Baselworld 2012, Hall 2.0, Booth C-70. Contact us by email or at 845-425-9882. 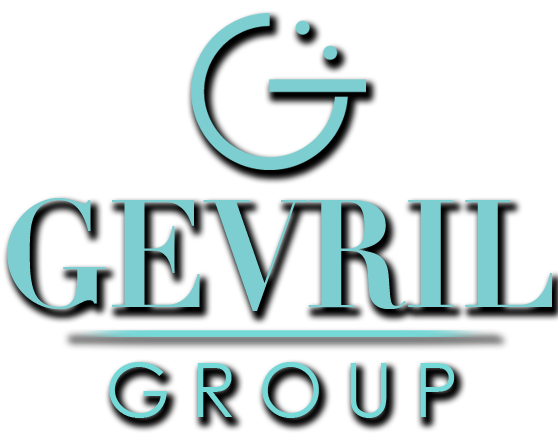 Please subscribe to the Gevril Group newsletter and blog summary. Comments are welcome.